The only positive points were: 1. Location. It is close to the city center. 2. Price. 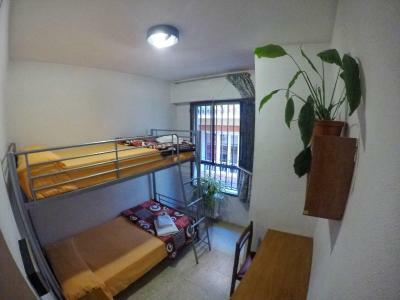 It is not as expensive as other better ranked lodgings, but definitely not worth that value, given the down sides. The position of the house its close to the center. Getting the key was easy, your free to come and go whenever you like. Booking more nights then originally planned ist very easy too. The staff is nice. The rooms are totally fine and most of the nights it was very silent. You can walk wherever you want. The location is just perfect for that. You get very very much for your money! Good location, the staff at the Duquesa hostel were friendly and helpful. The room was relatively clean. Location is great. Noise wasn't a problem for us (we're not particularly heavy sleepers). 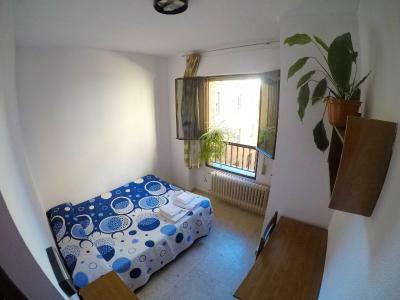 Near bars and restaurant and not far from main tourist attractions. I've been there a few times, and it is the best place if you only need a bed to sleep for a few bucks. The best part is the private bathroom. The location was very near of everything shops and restaurants. Location the most. Also we had our own bathroom which was great. Position, cleaness, helpful staff! Don’t trust who complain for every silly thing, this is a perfect 15€ accomodation...surely there’s something better for 10€ more...so why didn’t you spent it? If you want hotel level, my tip is: go to hotel! 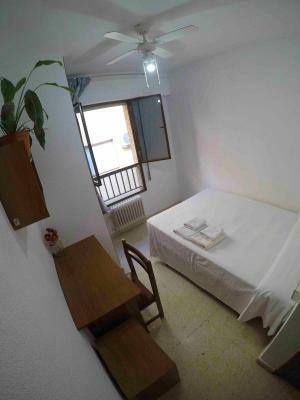 Only 15 minutes' walk from the famous Alhambra Palace and 1.7 mi from Generalife Park, Bed and Breakfast Centro offers rooms with heating and a private bathroom. The property also includes a shared kitchen and a dining room. There are 3 lounges and 2 sun terraces. 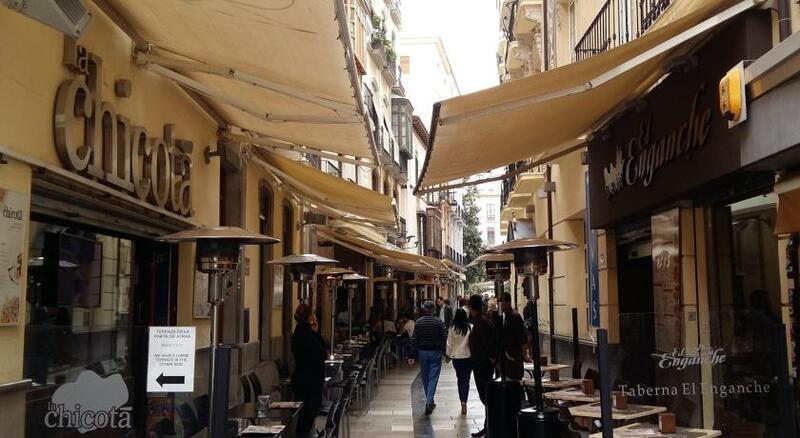 Albaicín Neighborhood, the historical center of Granada, is a 15-minute walk away. You can enjoy a stroll down narrow streets lined with white washed houses or visit one of traditional tea shops. 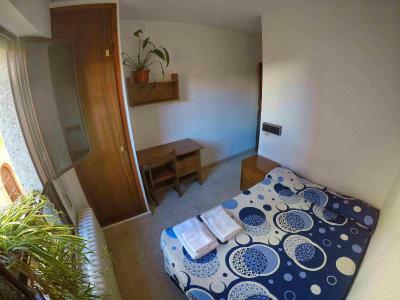 Granada Train Station is 1.1 mi from the property and Federico García Lorca Airport can be reached in 22 minutes by car. 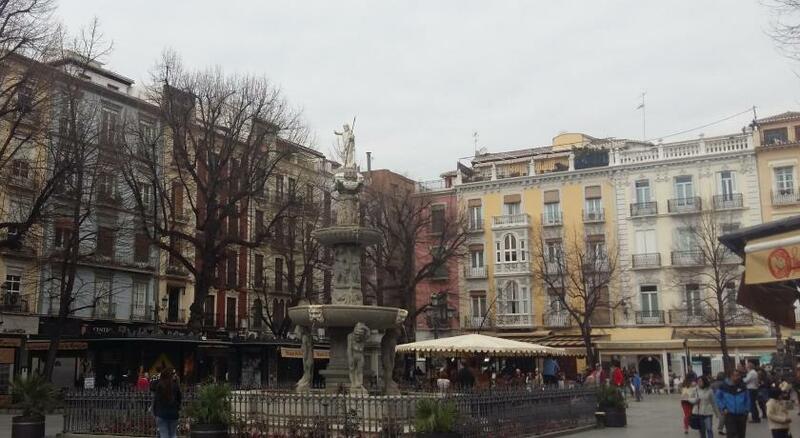 뀐 This property is in the real heart of Granada! When would you like to stay at Bed and Breakfast Centro? Alojamiento NSC is not a Hotel, it is exactly what you can see on the pictures and its price range: a place to stay, right in the middle of downtown. 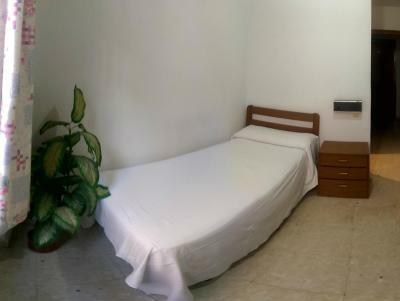 We are not offering fancy or luxurious rooms, you get exactly what you are paying for a very client-friendly price: a warm, cozy, clean place to stay, giving you the opportunity to reach everything in Granada on foot. 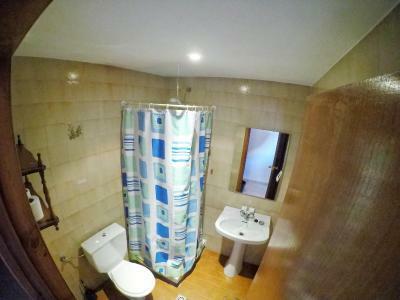 After a long day, being exhausted of all the magic and beauty of Granada, you just need a clean bed, your own private bathroom with hot water, knowing that the next day you will not waste time to get to the city center. Area Info – This neighborhood is a great choice for travelers interested in ancient landmarks, architecture and old-town exploration – Check location Good location – show map Guests loved walking around the neighborhood! House Rules Bed and Breakfast Centro takes special requests – add in the next step! Euro 6000 Sistema 5B Bed and Breakfast Centro accepts these cards and reserves the right to temporarily hold an amount prior to arrival. Bed and Breakfast Centro accepts these cards and reserves the right to temporarily hold an amount prior to arrival. After booking, you will receive an email from the property with payment and key pick-up instructions. Guests are required to provide their arrival time. Please inform Bed and Breakfast Centro of your expected arrival time in advance. You can use the Special Requests box when booking, or contact the property directly using the contact details in your confirmation. Please note that check-in and key collection take place at: Calle Pedro Antonio de Alarcón 85, Granada 18002. I would not recommend this place to any sane person. First of all, the address they list as the location of this “bed and breakfast” does not exist. Apparently, on the weekends they don’t have a receptionist so you have to walk about 2 miles to an address that when you type it into the map also leads you astray! You check in at a different, non-associated hostel and then have to walk to a completely different address - not the address given as the location on TripAdvisor - and there you stumble upon a building with no signs for the hotel you are staying at (Bed and Breakfast Centro? Nevada Housing?) but instead for something completely different. So you fiddle with the key in the door for a solid 10 minutes, finally get in and it looks like a former insane asylum. Everything is eerie and outdated. The thought of being murdered in my sleep or at the least haunted crossed my mind instantly and often! The bed is stiff as a rock and the walls are paper thin. The lovely terrace with a view of absolutely nothing! The walls are up so high, you are basically just sitting in a cement box with no roof. Oh, and the doors lock from the inside, so if you don’t prop open the heavy metal door with a plastic chair, you will get locked out. The rooms are bleak and depressing and very small. This is NOT a bed and breakfast at all, just a bad, overpriced hotel with no reception to help you with anything. Zero stars. Angry. Disappointed. You have to check in about 10 walk from the actual place so if you think you might need staff around, don't rely on it here. We went to the check in place and had to wait about 25 minutes for the guy to show up. One towel for two people. We went during Santa Semana so maybe the price got inflated around then, not sure (about 50 pounds for 2 people, private room and private bathroom (you've seen the pics — it is small, but we knew that beforehand)). Very uncomfortable bed with springs poking through the mattress. It was 4 degrees outside and I had to wear 3 layers of clothing inside the room as it was so cold. I felt as if I was staying in a college dorm room with partying going on down the hall until after 4 am. Actually despite the fact that the facilities provided are of low quality, f.e there is not even soap in the room and there is no one in the reception to ask for it, even the basic facility which is sleeping is impossible there. There is so much noise from people that do not respect (and how could they if there is no one at the reception?) and the walls and doors are so thin that you feel like sleeping in the hallway and you can hear everything! To make matters worse, the door of the main entrance is impossible to close without making a lot of noise, and the pipes are not maintained at all, which means that they constantly make a weird noise and every time someone flushes in the building there is a sudden loud noise that also wakes you up! Room was very small. The walls are very thin and you can hear everything that is happening in surrounding rooms. 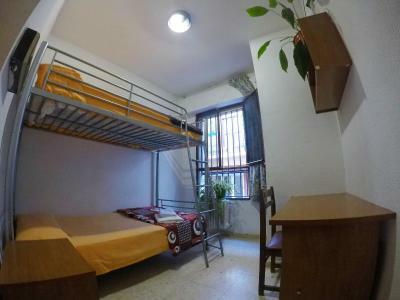 Location is great and room was clean and tidy. The metal ladder wasn't fixed to the upper bed so when my travel mate went up to his bed the ladder felt down and almost hit my head! They said they have a kitchen, but it was locked. Only some students who live there permanently have access/key to enter the kitchen. They were super friendly and helped us in everything they could: let us in the kitchen, helped find our room.. The receptionist guy could learn from them.. There is a tiny electric cooker (you can cook only one thing at a time) which is connected to a special clock that works half an hour for 0.50 euro. We used the student's cooking utensils as the hostel does not have.. Other travelers could not lock their room door.. The location was not the same then when I booked. Furthermore, the reception is in another place, 5/10 minutes walking from there. The mattress was very very soft, which make it almost fold when I was sleeping. 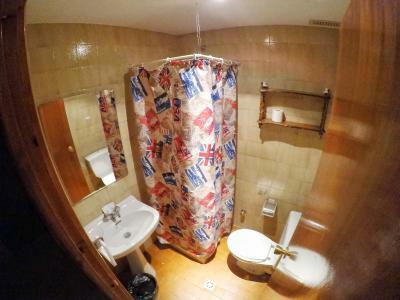 Very unconfortable batroom and poor cleanliness. The walls are very thin, which made me hear the snore of neighboors. When i arrived the with my luggages the booker gave me keys and had me going around on 30 min walk back n forth only to find out the room was in a different street. On top of that he didnt speak any English at all, not even the basics. He also was rude and offensive in Spanish and he couldn't admit he sent me in a wrong address. So after all this bad experience the room was the opposite of sound-proof. I didn't sleep well 2 nights because the room close to mine was rented by someone who snored and because the walls are as thin as paper you could hear everything. Also for the same reason you could hear everything happening on the street at any time. Furthermore the matress was so thin that you can feel the beds steel which as well was from a really cheap material. Finally, the WiFi was not sufficient and my room was around 5 meters away from the router and heating was not sufficient as Granada at night gets as cold as 2-3 Celcius. P.S. Because of the checkout time being 11 o 'clock the booker came knocking my door and forced me to pack everything up in five minutes which was not a way to treat a client. 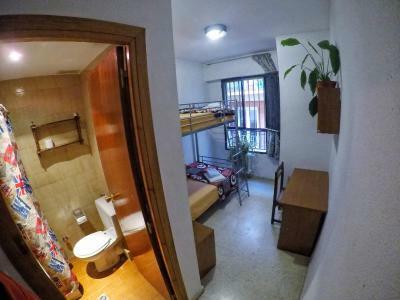 This place is probably the most disgusting place you can choose to stay in Spain. If you are not homeless - go somewhere else. The people there are loud and crazy. 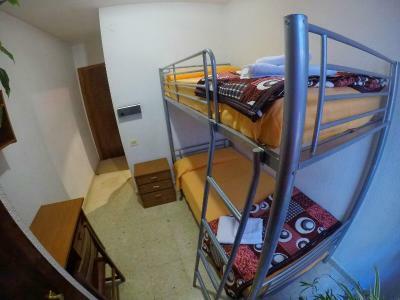 The "walls" are paper thin, the room is as small as a shoe box, the bed is as comfy as a rat hole, the bathroom is wet all the time, the toilet and sink are not fixed and start moving anytime you use them. GO SOMEWHERE ELSE!!!!! A bit noisy at night, but you can't blame that on the place, can you? The listing promised heat - there wasn't any. Also, the wi-fi was erratic, usually strong but not always reliable.